A funny thing happened on the way to the 2011 Sauvignon Blanc from MJA Vineyards. The 2009 version came out very peach and apricot forwards, tasting almost as if it more of a Viognier mixed with some Roussanne to round it out. The 2010 Sauvignon blanc sports plenty of fruit– that would be one of the most grapefruit forward wines I have ever encountered. And that’s not a bad thing as the grapefruit blends beautifully with some slate and even lint and lime for a fascinating sensation. 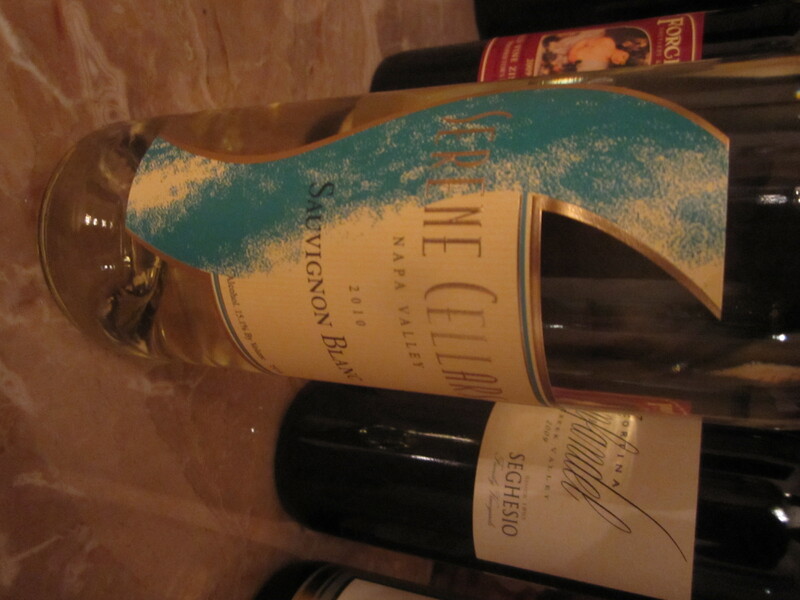 Then the 2011 Sauvignon Blanc…well, it tastes like a Sauvignon blanc. It’s really a blend of sweet fruit in 2009 and the grapefruit of 2010. It’s the 2010 Sauvignon Blanc, though, that thrilled me most. I eat anything, but I do squirm when faced with plain grapefruit. Why not just eat an orange? This is a beautiful wine, flowing with not too sharp minerals, the obvious grapefruit presence, and hefty floral dose. The combinations bring to mind fields of spring, yet also has a bright, tropical touch that could be the heart of a long, summer day. Chilled, this wine was meant for Labor Day weekend. Immediately it transported me back to a Kim Crawford Marlborough Sauvignon Blanc, except with slightly less stone to the palate. This bottle is flexible, as a refresher, or a perfect compliment to grilled halibut or a simple pasta with basil-heavy pesto. That tropical dosage harkens back to the namesake for MJA Vineyards…Marin Artukovich who lives part of the year in Hawaii and grows and sells Kona coffee beans, in addition to wines from the Napa Valley. Talk about a perfect duo- Hawaii coffee and Napa wines. 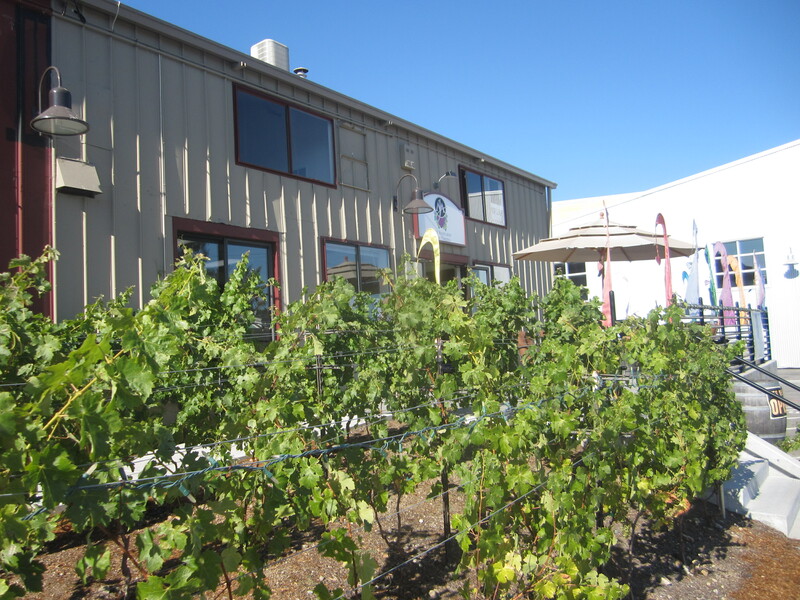 MJA’s grapes mostly grow in the Napa Valley, then are sold under either the Serene Cellars or Davine Cellars at his “hang loose” feeling tasting room in Santa Cruz, part of a collection of tasting rooms in an industrial part of the city, including Bonny Doon Vineyards. Only at MJA can you buy Kona coffee beans, munch on chocolate covered coffee beans when tasting the Cabernet Sauvignons from Howell Mountain in the Napa Valley on the tasting room patio (complete with fireplaces, a great thing in Santa Cruz! ), and enjoy a beautiful Sauvignon Blanc that shows the varietal need not be the boring grape of the wine world. Mahalo nui loa for that! This entry was posted on September 5, 2012 by trevsbistro. It was filed under Wine of the Week . Was just there recently and signed up for their wine club. I went with the 2011 Sauv Blanc, 2008 DaVine Cab Sauv,(Moody) and the 2008 DaVine Merlot (Calamity) for my first purchase. Reds are a bit heavy on the Oak but well integrated with vibrant fruit and make great cocktail wines. Marin (Mr. MJA) threw in a 1/2 pound of the Kona Coffee and it was delicious as well. The chocolate covered coffee beans do go quite well with these big muscular reds.